A recent report on the market for cancer biosimilars published by Goldstein Research finds that it would grow at robust CAGR of 25.0% during 2017 and 2025. Large number of oncology biosimilars are in pipeline, and FDA has approved 4 biosimilars, 2 for cancer treatment and 2 for supportive care. Most recent was approved in June 2018 named Fulphila biosimilars to reduce the risk of infection during treatment of cancer. Fulphila is first biosimilar to Neulasta biologic manufactured by Amgen. Furthermore, the approval of delivery devices and formulation such as Neulasta Onpro Kit is providing competitive edge to the biologics from their biosimilars. Sales and revenue of approved cancer biosimilars in market. Cancer biosimilar in-house and contract manufacturing outlook. Number of Oncology cases and growth rate of oncology cases, 2017-18. What makes Amgen, Boehringer Ingelheim, Novartis, Biocon the major shareholders in Cancer biosimilars Market? Amgen, Boehringer Ingelheim, Novartis, Biocon, Roche and many more. Biosimilars are required to have identical route of administration, strength and dosage as the reference biologic. And the expiration date coming close to various cancer biologics will lead to approval of more biosimilars. 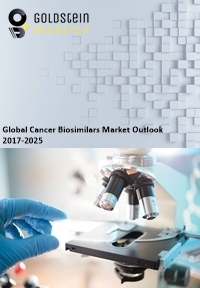 However, US cost saving potential in manufacturing of biosimilar and value based case environment in the region tends to attract more number of biosimilars manufacturers willing to enter and expand their scope to oncology. Moreover, about 40% of prescription drugs spending in US is majorly on biologic drugs which is thus paving opportunities for biosimilars. The top pharmaceutical companies in US are intended to shift their focus on biosimilars as their approval is difficult compared to generic drugs, they better propositions for companies. To examine market competition scenario including expansions, product pipeline, generation capacity, material parameters, conveyance chain, agreements and merger acquisitions. The local regulatory reforms, reimbursement and improvement strategies along with the forecast are clarified in each key point that indicates the general execution and issues in key areas, for example, the US, Asia Pacific, Middle East & Africa and Europe.